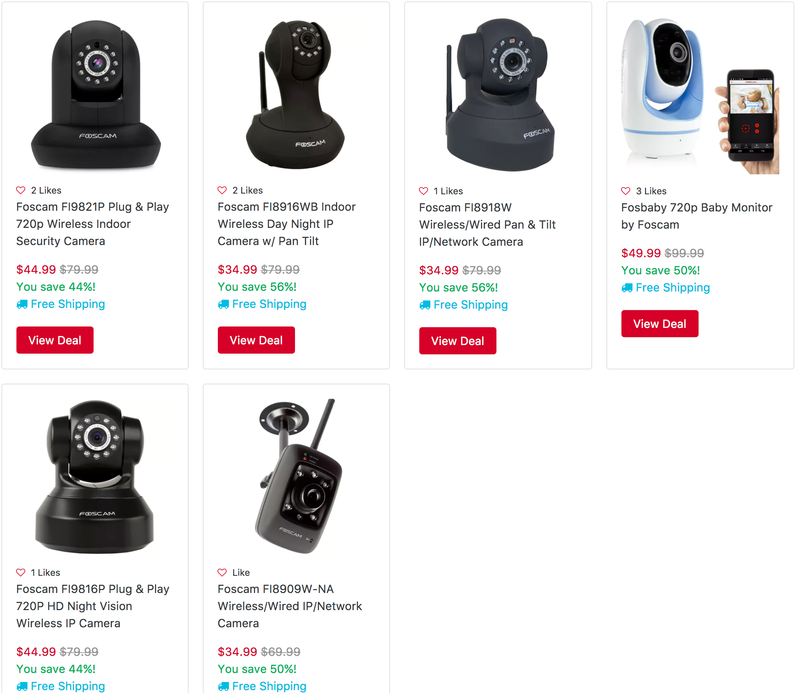 Tanga is offering discounts on Foscam Security Cameras today. Our pick from the selection is the Foscam FI9821P Plug & Play 720p Wireless Indoor Security Camera for $44.99 shipped. That’s $35 off the original list price, $30 less than Amazon and the lowest we can find for it. The camera has night vision, motion detection alerts, two-way audio and remote viewing. Rated 3.3/5 stars by over 2,000 Amazon shoppers with more than 70% of them leaving a 4+ star rating. Browse the rest of the sale for more options. The Foscam FI9821P is Foscam’s first “Plug & Play” wireless security camera featuring the ability to connect, view, listen, communicate and control via smartphone by simply scanning the QR code on the underside of the camera. Bypassing the need to access your router and setup port forwarding, the FI9821P can be set up effortlessly by anyone, even those with very little IT experience. The FI9821P IP camera also features 1280 × 720p video resolution, h.264 video compression, built-in DVR via SD card (upto 32gb), two-way audio, Wi-Fi-N capability, pan/tilt, remote internet viewing, motion detection, night-vision as well as network video recording capability.